For a long time, I have been looking longingly at expiration dates on OTC boxes, bottles and food cans, wondering if I'll get to Israel before the item contained within the packaging expires. What a relief not to have to do that anymore. Leaving Israel this time was SO MUCH easier than it has been in the past. It was hard to leave our daughter behind, knowing that it will be months before we see her again. I cried the day we left, but 90% of my tears were because I was parting from my first-born. It seems that, all along, there actually was an expiration date on my gut-wrenching, I-can't-leave-Israel-again-without-knowing-that-we-can-come-back-here-to-live tears. 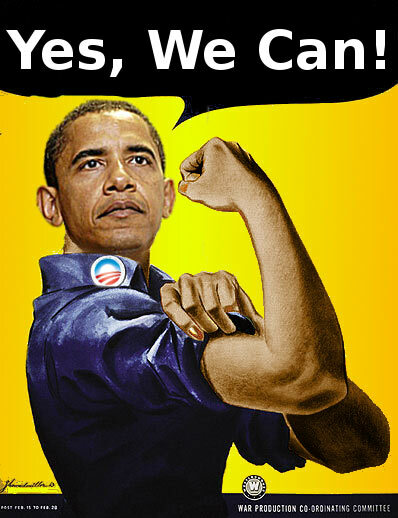 All it took was one resounding YES WE CAN! Even though we are not yet official עולים חדשים (new immigrants), we have been spending the past few weeks doing the kinds of things olim do - visiting prospective schools, networking for a job, researching health care options... and buying appliances. Relying heavily on the advice of friends who preceded us as עולים חדשים by a few years, we bought a washer, a dryer and a refrigerator last Thursday. On Sunday, the washer and dryer were delivered by a team of two. Luckily, my Hebrew-speaking husband and daughter were home, so this delivery was a piece of cake. What I wasn't able to get on camera was the delivery method. One of the workers strapped on a huge cushion and carried the machines on his back, down the steps to our front door. Getting them into the house from this stage was the easy part. Yesterday, my husband (did I mention that his Hebrew skills far outstrip mine?) had a networking appointment in Jerusalem and was out of the house most of the day. My assignment was to wait at home for the refrigerator delivery. While waiting, I spent time sorting out our Israeli utility and Visa bills, trying to figure out what things really cost here. A few rapid-fire Hebrew phone calls later, during which all I understood was our address and the word מקרר which I know means refrigerator, the delivery scene, with the heavily cushioned, fridge-toting back worker, repeated itself at our stairs. Again, I didn't get a photo until the fridge was at our door. The talking delivery man kept speaking to me in insanely fast Hebrew. Even though by this point, I'm sure he thought I'm an idiot, I was able to understand that I needed to wait an hour before putting food into the fridge. And I managed to ask him, in Hebrew (thank you very much), where the Shabbat switch is. This is so cool. There is a simple switch, standard on this Israeli-made fridge, that shuts off both interior lights for Shabbat. While I was home waiting for the מקרר to cool down, three young Ethiopian boys came to the door collecting tzedaka (though don't ask me for what cause). I gave them 10 shekels, they gave me a piece of paper and blessed me with the words Tizku l'mitzvot — may you be worthy to perform additional positive commandments. Another successful Hebrew interaction! Perhaps they didn't even suspect how anxious I feel when conducting the simplest interaction in Hebrew. Later, I phoned the customer service department of our cell phone carrier to discuss some billing issues. Seven times, I asked the representative who answered my call, "Do you speak English?" and seven times, I was told, רק רגע, which literally means "just a moment", but, in this context means, "No, but hold on and I'll get you someone who does." Six representatives guessed the English fluency of their colleagues wrong, but finally, one got it right and I was able to take care of my business. Still later, when my husband returned from Jerusalem, exhausted and in need of a nap, I took the car and drove to a neighbor about 2 kilometers away (Ha! Don't I sound so Israeli already?!). I've driven twice before in Israel, but this was the first time ever, ever, that I drove completely by myself and I was, upon my safe arrival, inordinately pleased with myself. Here's a secret I learned on this trip. Being an immigrant is infantalizing. Everything is completely new and you need help with every simple task. I'm a grown woman, but I feel like an adolescent, figuring life out for the first time. Here's the positive spin. Accomplishing the simplest things by myself is such a pleasure. As I write this, my newly installed washer is washing her maiden load. In about 4 minutes, I'll know if I pressed all the right buttons. It's a steep learning curve. But even if I got it all wrong, the machines look great. And לאט לאט (slowly, slowly), we are settling in.